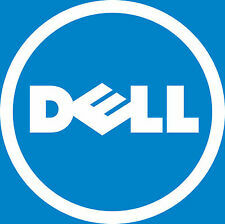 For Dell Optiplex 745/755/760/780 SFF. Complete Case and CPU Cooler! Heatsink, Shroud, Cooling Fan, Speaker, Diagnostic LED module. Used in perfect condition! Fully Tested. Our knowledge of Dell Parts is second-to-none and we have a large Database which can help with alternative parts which will work in your system. Get In Touch. GET IN TOUCH IF YOU REQUIRE ANYMORE INFORMATION. Dell XPSM1730 Internal Fan. Condition is Used. Dispatched with Royal Mail 1st Class. This was r emoved from a Dell Precision with a dead motherboard. Fully tested and working fine. I have other fan and structure parts available from this decommissioned Dell workstation. You can zoom right in on them to see the system up close. Desktop Fan. Fully tested and working Desktop Fan pulled from new or factory refurbished machines. DOA WARRANTY ONLY (Dead on Arrival). No collections allowed. Will Fit . Fully tested and working component, pulled from new or factory refurbished machines. See title! No collections allowed. Product Type . Part Number No collections allowed. Dell Optiplex Heatsink and Fan Assembly tested and in good clean working order. Dell PowerEdge R900 HEATSINK SHROUD MK883 0MK883. FROM A WORKING SERVER - GREAT CONDITION. We always show actual pictures. Fully tested and working fan pulled from new or factory refurbished machines. DOA WARRANTY ONLY (Dead on Arrival). No collections allowed. Will Fit . GREAT CONDITION - WORKING SERVER PULLS. We always show actual pictures. No collections allowed. DOA WARRANTY ONLY (Dead on Arrival). Will Fit Fully tested and working item pulled from new or factory refurbished machines. No collections allowed. Optiplex 755DT. Desktop Fan. 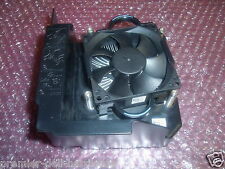 Fully tested and working Desktop Fan pulled from new or factory refurbished machines. No collections allowed. Will Fit . Inspiron 530 MT - Mini Tower. Desktop Fan. 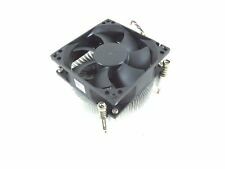 Fully tested and working Desktop Fan pulled from new or factory refurbished machines. No collections allowed. Will Fit . Part Number Will Fit Fully tested and working item pulled from new or factory refurbished machines. No collections allowed. Will Fit Fully tested and working component, pulled from new or factory refurbished machines. No collections allowed. Fan and Shroud Cover. 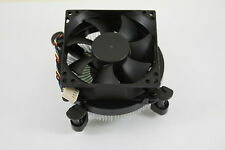 Fully tested and working Desktop Fan pulled from new or factory refurbished machines. Will Fit Part Number No collections allowed. Product Type . Fully tested and working fan pulled from new or factory refurbished machines. Part Number No collections allowed. Will Fit . Latitude E6410. Fully tested and working Laptop Heatsink pulled from new or factory refurbished machines. Part Number Will Fit No collections allowed. Fully tested and working Heatsink, pulled from new or factory refurbished machines. Part Number Will Fit No collections allowed. Fully tested and working component, pulled from new or factory refurbished machines. DOA WARRANTY ONLY (Dead on Arrival). No collections allowed. Inspiron 1720. Laptop Heatsink. Fully tested and working Laptop Heatsink pulled from new or factory refurbished machines. Will Fit No collections allowed.